One of the best cultural practices in caring for landscapes is pruning trees and shrubs. Proper pruning can maintain overall health, improve the quality of blooming flowers, restrict unwanted growth and will create an aesthetically pleasing appearance. Pruning is not only done for cosmetic reasons, it is also done at times to control structural integrity. As a full-service ornamental tree & shrub care provider, we provide the service of pruning and can provide this service at anytime during the year. We can also advise the best times of the year for pruning trees and shrubs based on the types of landscape plants and shrubs you have. Ornamental trees, shrubs and floral plant-scapes will add beauty to any home or business and can significantly increase the value of any property. Our tree and shrub insect & disease control program will eliminate and restrain damaging insects. 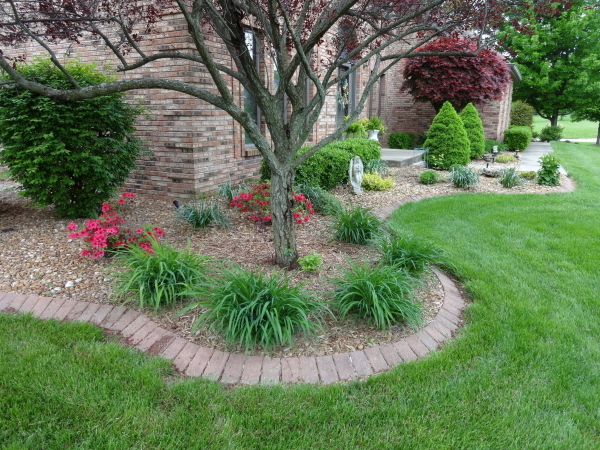 Fall Fertilization is the most effective method for fertilizing trees and shrubs, typically done in late fall. Through this process, a liquid time-release fertilizer is applied to the surface of the ground, drenching the root zone and not applied on the plant itself.